If you are one of those people who love to decorate the interior of their homes, you have probably invested a lot on your carpets and rugs too as they add charm and detail to your home. Since you have invested so much on your home, you will want to maintain each and everything that makes it look appealing, such as your carpet and rug. But how exactly do you think you can take care of and maintain everything in your house considering that you work an eight-hour shift? Well, if you are confused, then let us tell you that you can benefit from carpet cleaning services in Chandler, AZ and have your rugs and carpets cleaned and maintained. If you want to take care of your rug, you should consider the following tips. As a homeowner, you should know the type of your rug, i.e. what is it made of, what type of yarn or backing has been used to make it, and other details. Some rugs are only supposed to be dry-cleaned, so make sure you follow whatever instructions your rug comes with. Considering the little time you have left on your sleeves at the end of the day, you cannot take care of your carpet or rug alone. For proper maintenance, you have to consider hiring carpet cleaning services in Chandler, AZ. These professionals will know their job better than you, so it is best if you leave your rug to them. You must keep your rug away from sunlight because the UV rays from the sun can end up fading your rug’s color and overall appeal. Try to situate your rug where sunlight doesn’t fall. If your home has a lot of windows, you might benefit from keeping the blinds closed. 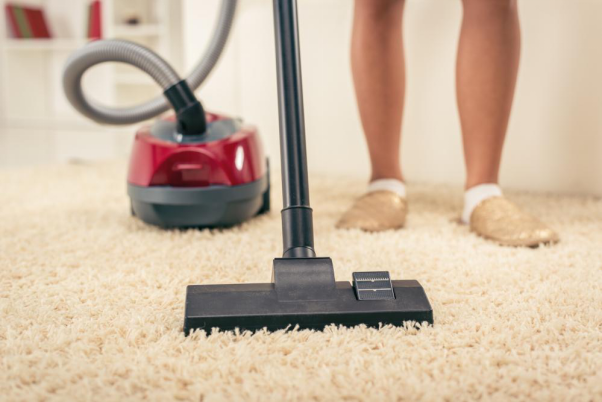 When you choose to vacuum your rug regularly, you are ensuring that your rug remains clean of all dust and dirt. This will increase the life of your rug and make it appear more bright, new, and colorful. To make sure your rugs and your carpets are maintained on a regular basis, you hire carpet cleaning services in Chandler, AZ. This will ensure the upkeep of your home and make it look beautiful forever. Maintenance of your home is essential if you want to make it look beautiful forever. Carpet cleaning services in Chandler, AZ ensure that whoever comes to your house praises the amount of effort you have put into its upkeep. Keep your rugs and carpets clean to give a warm and gorgeous appeal to your home.